Grantsville second baseman Ethan Merrill (21) makes a throw to first base during Monday’s summer-league baseball game against Murray at Ken Price Field in Murray. Grantsville lost the game 12-1 in five innings. Grantsville junior Parker Thomas (22) slides safely into third base as Murray’s Jase Llewelyn bobbles the ball during the first inning of Monday’s game. 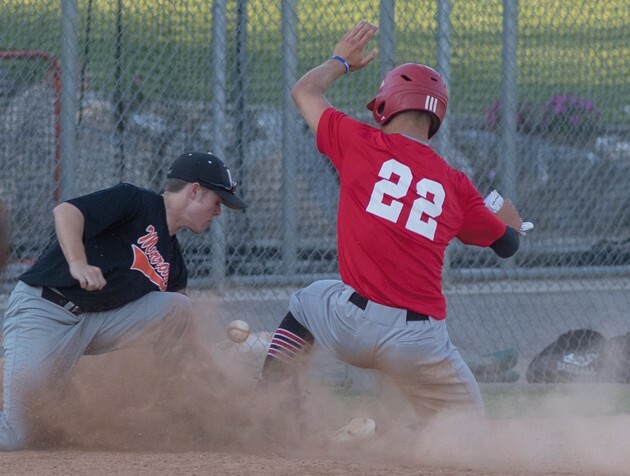 Grantsville senior Justin Richardson (right) comes in to score a run during the third inning of Monday’s summer-league game against Murray at Ken Price Field in Murray. Grantsville lost the game 12-1 in five innings. The Grantsville baseball team has the talent to compete for a second consecutive Class 3A state championship next spring, but the Cowboys still have plenty of work to do to get there. That much was evident in Monday’s 12-1 summer-league loss to Murray, where errors and walks turned a close game into a blowout. 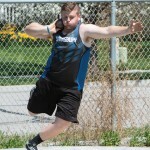 “Now’s the time to learn from those mistakes,” Grantsville coach Aaron Perkins said. Grantsville (6-3) knew it was in for an uphill battle against the Spartans (10-0), the lone undefeated team left in summer play. 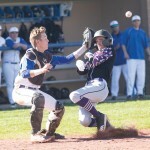 However, the Cowboys had their chances in the early innings as Murray starter Isaac Norton struggled with his control. 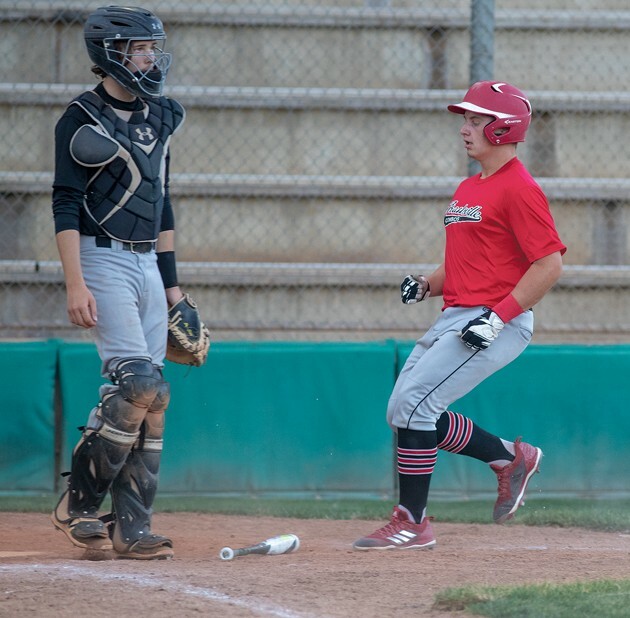 He hit Parker Thomas and Justin Richardson and walked Ethan Merrill to load the bases in the first inning, but Grantsville couldn’t convert on the opportunity. In the second, Parker Bird was hit by a pitch, Thomas reached on an error and Jackson Sandberg walked, but the Cowboys once again left the bases loaded with nothing to show for it. Murray scored a pair of unearned runs on an error in the second inning. 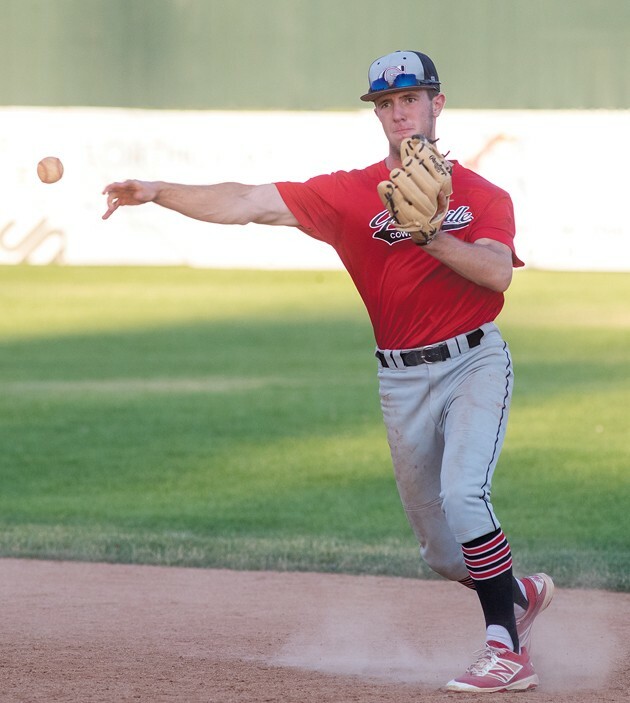 Sandberg had allowed a leadoff double to Connor Preece and walked Jase Llewelyn, but got Dillyn Thomas to fly out and struck out Jacob Woolley and seemingly had things in control. But a ground ball by Norton and an errant throw brought Preece and Llewelyn home and extended the inning. Grantsville finally broke through in the top of the third. 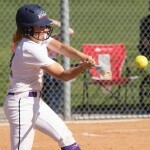 After Richardson and Merrill hit back-to-back singles to lead off the frame, Sam Daybell put down a sacrifice bunt to move them into scoring position. Richardson then scored on Bird’s groundout to third to cut Grantsville’s deficit to 2-1. But then it all started to go downhill for the Cowboys. A two-run single by Preece and back-to-back bases-loaded walks by Woolley and Norton ended Sandberg’s stint on the mound. Merrill came on and allowed an RBI double, but got out of the inning when the Spartans were thrown out trying to stretch it into a triple. Murray tacked on four more runs in the fourth inning against Merrill, forcing the Cowboys to score in order to keep the game alive. Merrill led off with a single, but was thrown out on Daybell’s lineout to second base. Bird got an infield single and Josh Staley was hit by a pitch to give Grantsville runners on first and second, but Norton struck out Maison Silva to end the game after five innings. 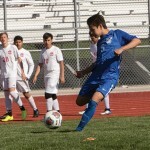 Grantsville, currently tied with Tooele for fourth place in summer play (Tooele has the head-to-head tiebreaker), will face Olympus on the road Wednesday at 6:30 p.m.